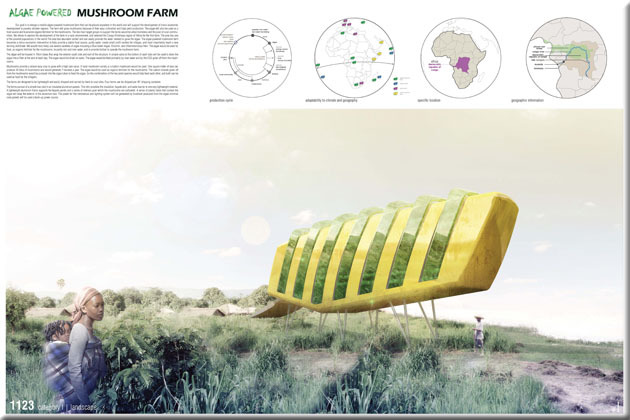 Algae Powered Mushroom Farm in Congo, Africa. 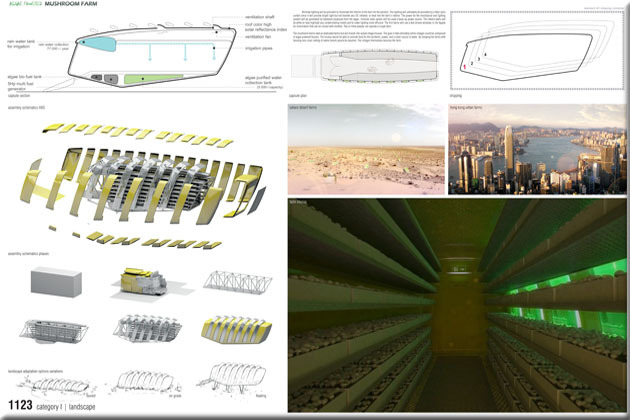 A mobile algae powered mushroom farm can be placed anywhere in the world to support micro-economic development. Algae will be used as a food source and organic fertilizer for the mushrooms. Two target groups would be urban homeless and the poor of rural communities. For more information about this entry, contact the author. email: tgivens@10design.co. Entry 1123. by Frederick Givins. 3:45 minute video of Algae Powered Mushroom Farm. (2011).